France Romanticism hairstyle. 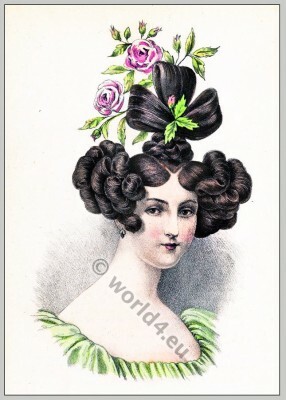 Coiffure 1830. France Romanticism hairstyle. Coiffure 1830. German Biedermeier period. „Album de coiffures histories“ by E. Nissy. Published 1890 by Albert Brunet.